Tosca resumes its place as one of the jewels of the OA repertoire in this superb new production helmed by master director John Bell. 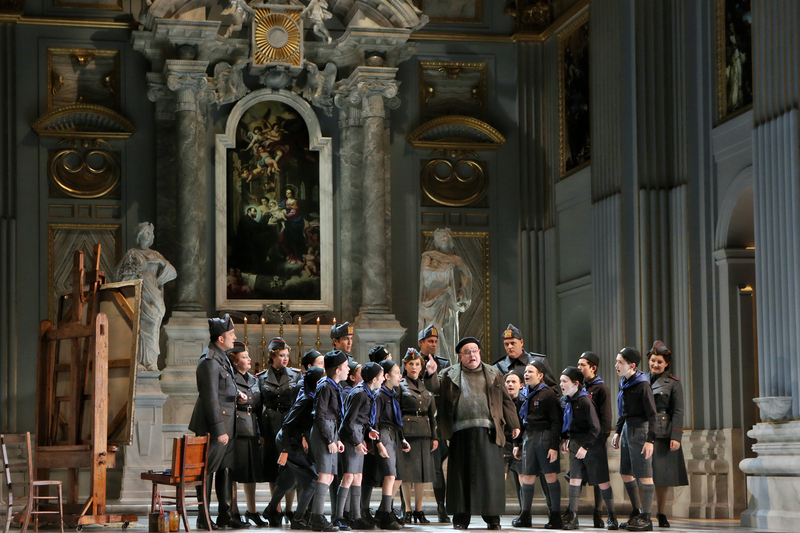 An ingenious update to Nazi-occupied Rome of the mid 1940s heightens the drama of Puccini’s thriller, with lavish production values and a top-notch cast completing the package. Michael Scott-Mitchell’s sumptuous gold and marble set for the Attavanti chapel is jaw-droppingly beautiful, and puts the stamp of quality on the production from the opening seconds. 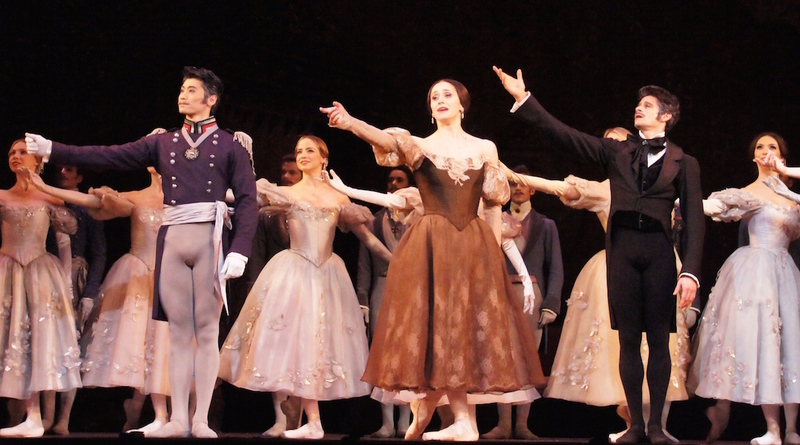 Highly realistic settings give the opera an enormous advantage over gimmicky ‘concept’ stagings in terms of allowing the characters and story to live and breathe in a believable manner. This verisimilitude is exactly what Bell was aiming for, and, with the help of his stunning cast, he has certainly achieved a gripping, electrically charged telling of the classic story. The traditional act one setting of a timeless Roman church means that costumes are initially the only indicator of the updated period. 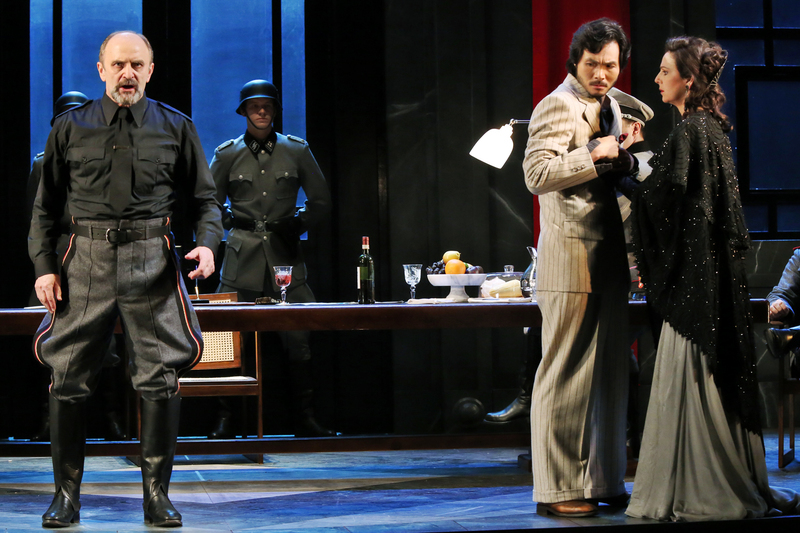 When Scarpia’s men enter, their uniforms appear recognisable but it is not until the Nazi banners are carried in that the full picture is revealed, with all in attendance required to salute with “Heil” as the act one curtain closes. Scarpia holds court like Darth Vader in act two, his disregard for humanity revealed when he molests a female officer in full view of his men. When Tosca runs up stairs for the traditional end of act three, rows of barbed wire block her jump, leading to a slightly altered ending, but one that leaves us with a harrowing image. Teresa Negroponte, a relative newcomer, has balanced the naturalism required with a healthy amount of flair and style. 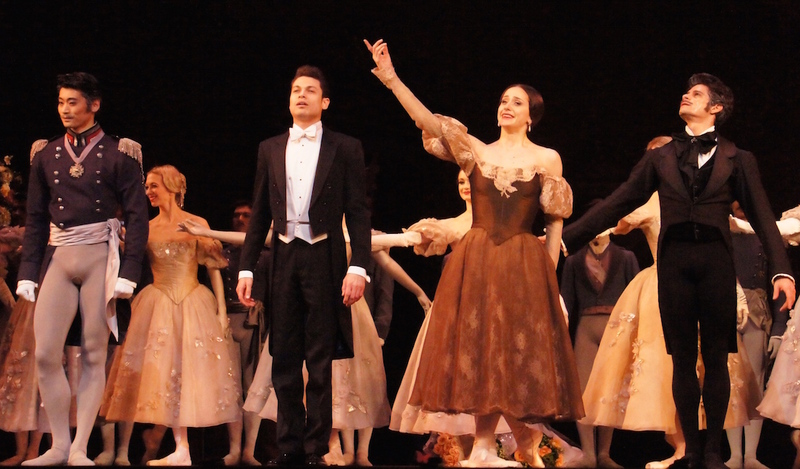 Tosca’s act two gown is divinely decadent without being ostentatious in the least. Military uniforms are of a quality and detail usually only seen in movies. Maestro Christian Badea leads Australian Opera and Ballet Orchestra in bringing out the full colour and passion in Puccini’s time-honoured score, with particular oomph and splendour from the brass. Yonghoon Lee’s trim and youthful appearance belies a voice of extraordinary power, and his gloriously romantic tone is swoonworthy. A gifted actor, Lee conveys the passion and nobility of Cavaradossi, and his physicalisation of the ravages of torture is almost too painful to watch. 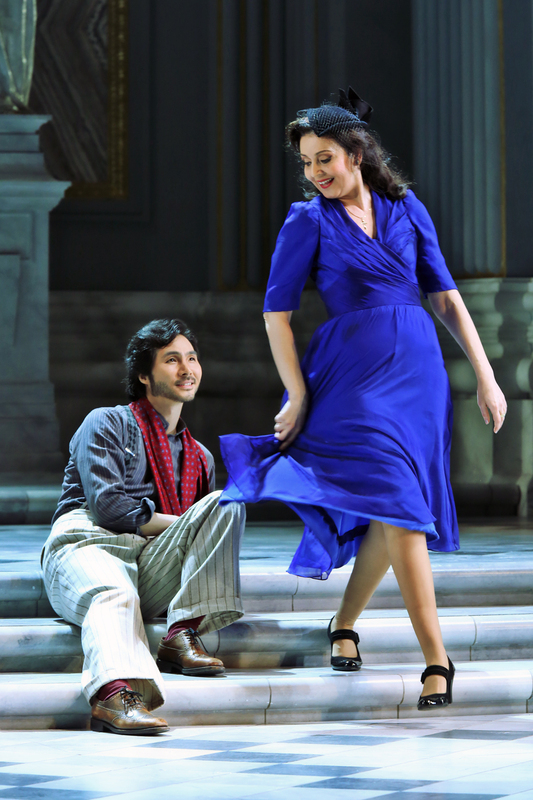 Greek soprano Alexia Voulgaridou enjoys strong chemistry with Lee, and their passionate duets are wonderful. Voulgaridou presents a rounded characterisation of Floria Tosca as a natural woman rather than the flouncy diva sometimes seen. Tosca’s jealousy is a natural result of her strong passion, and, when she realizes the horror of her impending fate at the hands of Scarpia, her violent outburst is entirely believable. This is where the updated setting really pays off, as Tosca’s deadly rage is seen as a reaction not just of her distress in the moment, but as an outpouring of rage on behalf of her people at the fear, starvation and oppression they have suffered at the hands of the Germans. 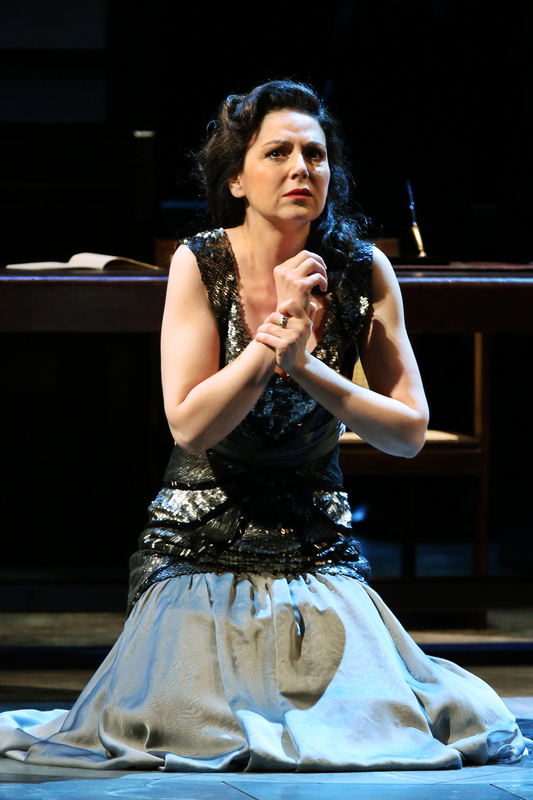 Almost paralysed with fear, Tosca sing “Vissi d’arte” as a trembling prayer in an exquisite moment from Voulgaridou. John Wegner conveys the piercing, unflinching malevolence of Scarpia to great effect, his rich baritone voice coming forth with seemingly effortless power. Wegner also avoids caricature in portraying the evil Scarpia as a man simply accustomed to abusing the power his rank affords him. 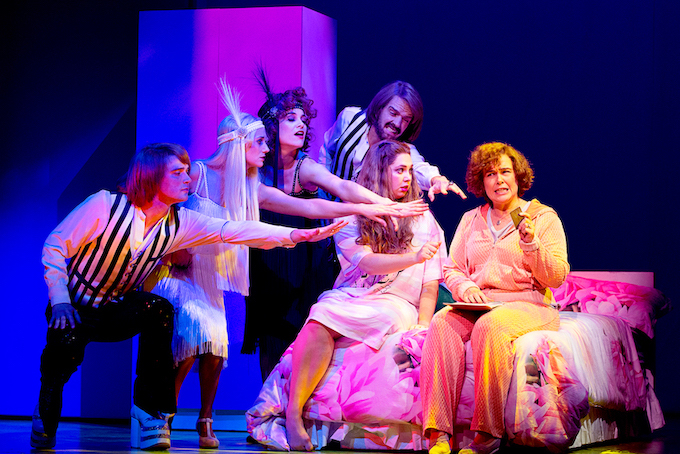 Acting and focus, not to mention singing are uniformly strong from supporting players and the chorus. Special mention to the redoubtable John Bolton Wood, a delight as the lively sacristan. The size of the sets for Tosca indicate a very likely engagement in Melbourne, where the production will no doubt look magnificent on the State Theatre stage. Hopefully a filmed version is also slated, as the production would have great appeal to cinema and blu-ray viewers around the world. 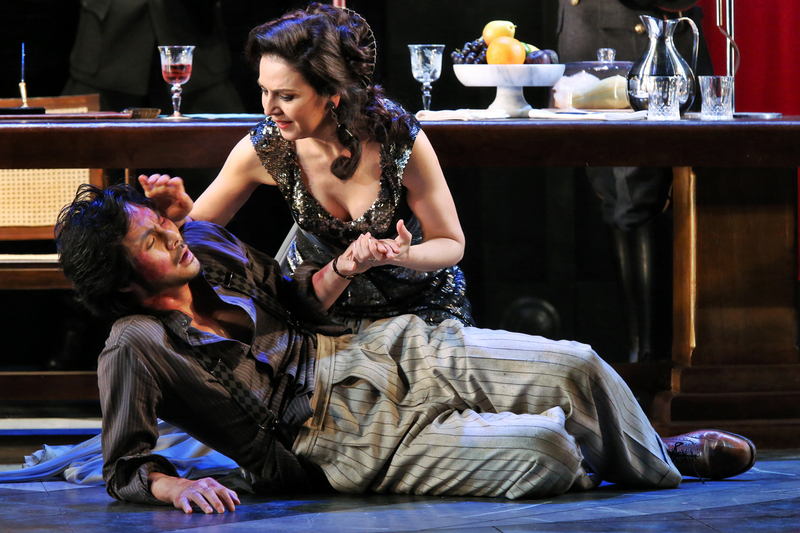 Tosca plays at Joan Sutherland Theatre, Sydney Opera House until 31 August 2013. Cheryl Barker and Diego Torre take over the lead roles from 4 August 2013. Thanks so much Joyce. I hope to see this production of Tosca again in Melbourne next year.